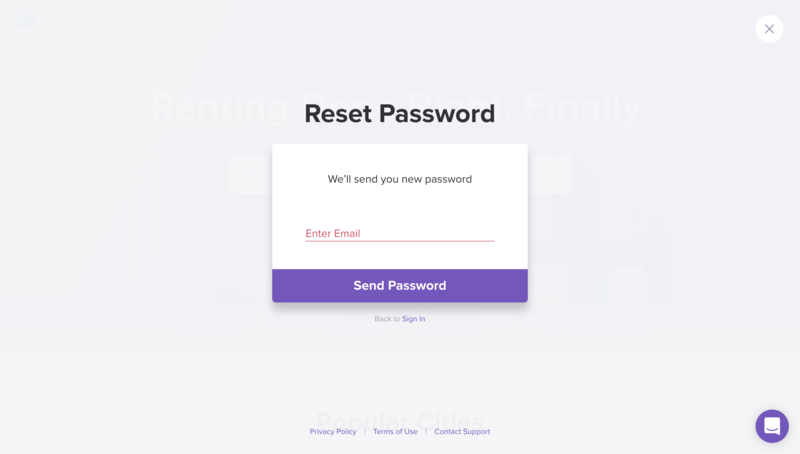 Click on the ‘Forgot your password’ link under the Password field. 2. 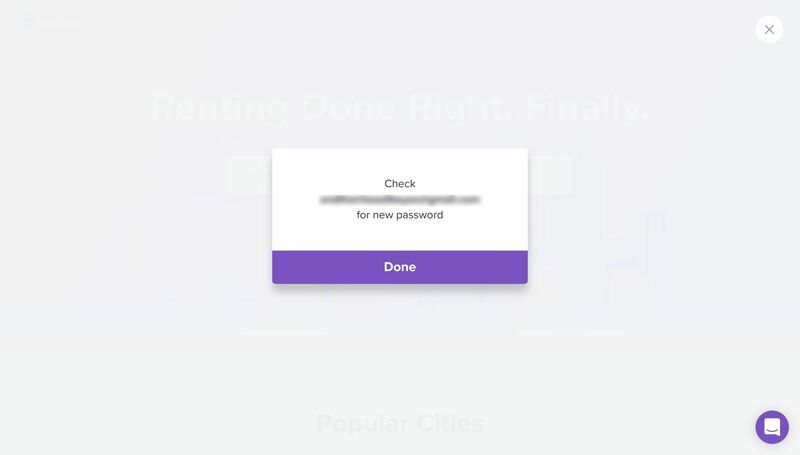 Enter the email that is linked to your Rentberry account and click on the ‘Send Password’ button. 3. Click on the ‘Done’ button. 4. 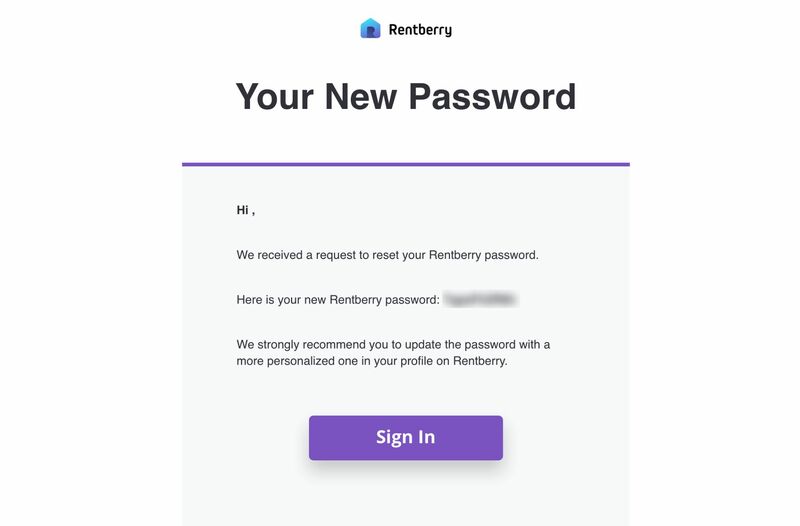 Go to your email inbox and find an email from Rentberry Team. 5. 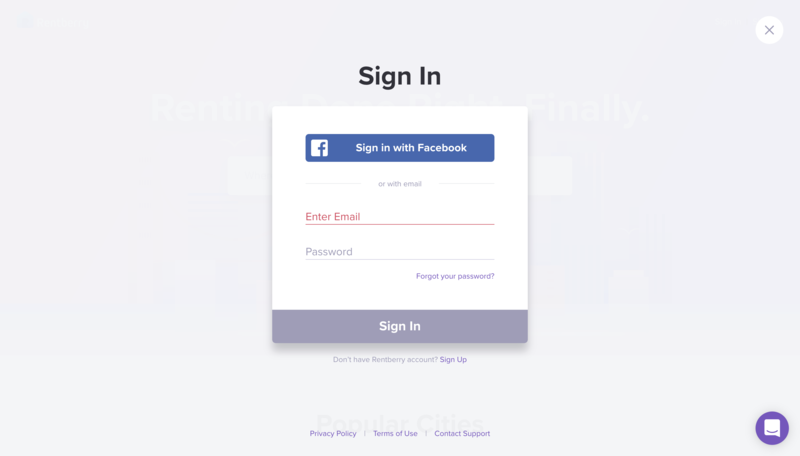 Go to Rentberry.com and Sign In using your new password. Note: Our team strongly recommends you changing the password to your own to be able to remember it faster.